The very string of words – ‘negative emissions power plant’ may seem like a bad case of an oxymoron. But that is exactly what Climeworks has achieved with their pilot project entailing a power plant that eliminates more carbon dioxide than it actually produces. In terms of sheer numbers, this incredible feat of engineering, touted as the world’s first carbon removal solution through direct air capture, can help in the elimination of 50 metric tons of CO2 from the proximate atmosphere every year. The aforementioned statement naturally brings up the question – how exactly is the carbon dioxide ‘eliminated’ from the air? 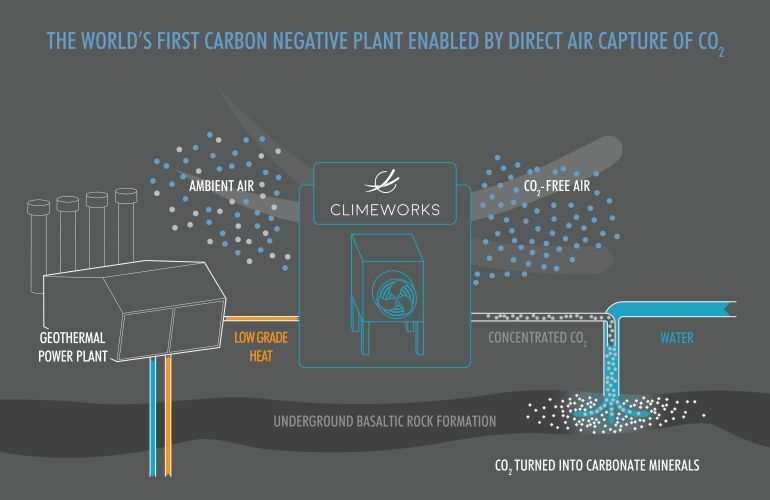 Well, the first step in the cleansing process entails the capturing of the CO2 from the ambient air with the aid of Climeworks’ patented filter technology. This filter is heated via low-grade sources from the thermal power plant, which in turns leads to the extraction of pure carbon dioxide. 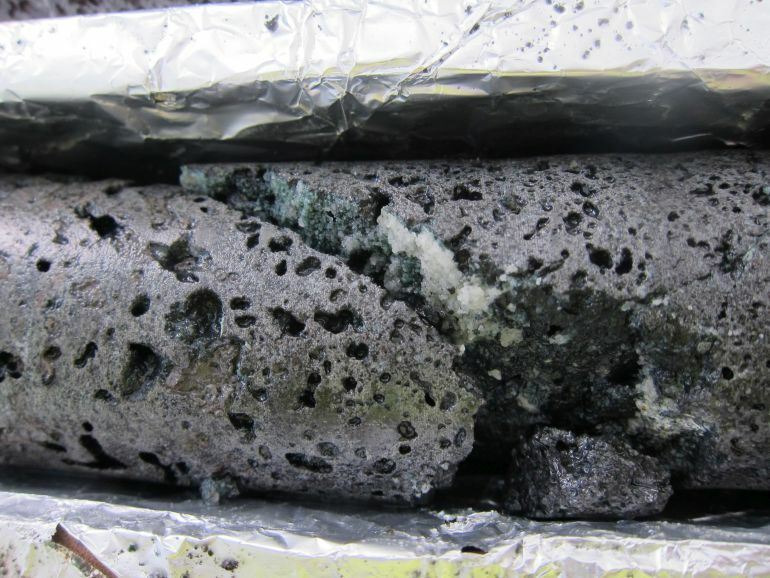 This carbon dioxide is then bound to water and then transmitted to a depth of 700 m (around 2,300 ft) below the ground level. At these subterranean strata, the carbon dioxide chemically reacts with the basaltic bedrock to form limestone. And theoretically, this ‘buried’ CO2 ‘can’t enter the atmosphere for millions of years’ – according to this post by Quartz. Now as we fleetingly mentioned before, the project is still in its pilot stage, which rather mirrors the nascent scope of the carbon-capturing technology. To that end, the current setup accounts for a substantial $600 for just extracting one ton of CO2 from the air. 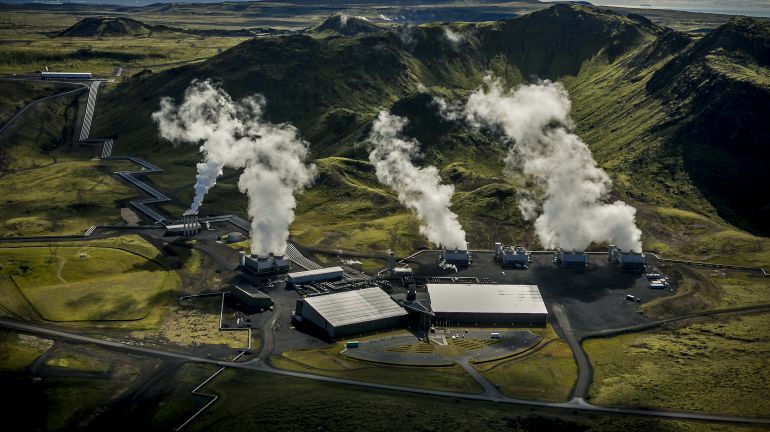 And by the end of this year, the Climeworks researchers are planning to fully upgrade the plant, which can translate to its capacity to 900 tonnes per year. However, even in that case, the figure is just equivalent to the annual emissions of 45 average Americans. On the other hand, one should understand that we are only talking about the operational capacity of a single plant. 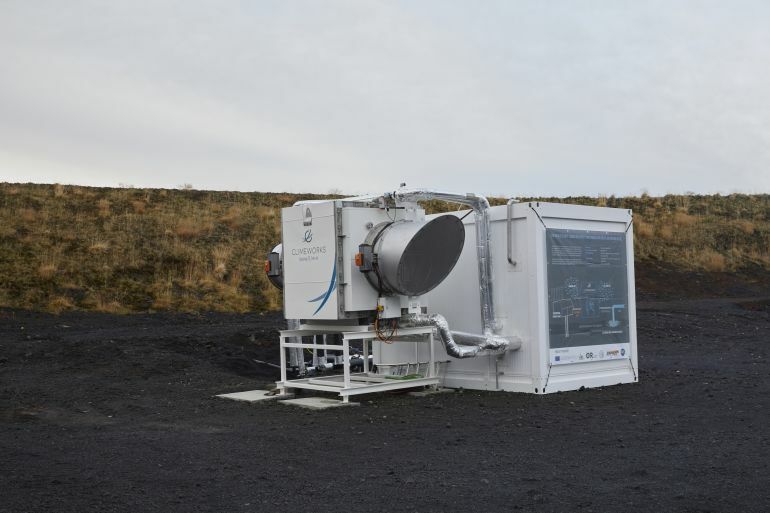 Furthermore, as Christoph Gebald, the founder and CEO of Climeworks, believes that potential for scaling up and upgrading the current carbon-extracting technology is enormous, considering their recent successes in the field. In that regard, the company is looking forth to accomplish its goal of reducing the cost to $100 per one ton of CO2 extraction, while also capturing around 1 percent of man-made carbon emissions each year.